A political commentator recently chuckled that India was fortunate its Army Generals were too busy playing golf to emulate their opposite numbers west of the Radcliffe Line and meddle with managing the affairs of the country. Alas, for the “general sahibs” the Royal & Ancient Game is now taboo in the Kashmir Valley and the North-east. Irked by their indulging in a leisurely pastime when their men were facing hot lead, the Army Chief has created a four-star bunker more challenging than any on the Scottish links. Instead, Gen. Bipin Rawat has directed, the officers should play more physical games to keep themselves in better shape. The original frown came when a former chief visited the camp at Uri soon after 17 soldiers were killed in a terrorist foray there in 2016 ~ Gen Dalbir Singh Suhag was livid when he contrasted the tall grass in the camp in which the fidayeen had taken cover with the manicured fairways of the local army golf club. He ordered the woods and irons to be kept away. 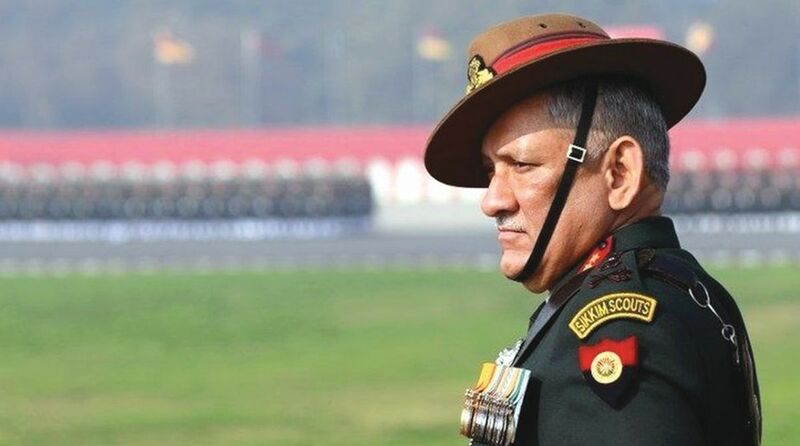 More recently, when Gen Rawat was attending a ceremony to honour fallen soldiers in Srinagar’s Badami Bagh cantonment, he noticed the caddies at the nearby golf course waiting for the ceremonial to conclude so that the officers could regain their swing. The Chief made it clear that his predecessor’s directive applied to the entire J&K, and for good measure extended it to the other “operational zone”, the North-east. Apparently, many years back, Rawat had got a “rocket” from his C.O. when he missed a PT session with cadets, preferring a stint on the fairways and greens. There are said to be some murmurs of resentment, but the Chief’s word is the law. That must indeed equate with a culture shock to the olive-green community which prides itself on its golfing facilities ~ these included a “buggy” in Delhi which sported four-stars and was reserved for a former chief. The game has become a tradition. When India and Pakistan came close to war in 1987 during Exercise Brasstacks, and armoured fighting vehicles where churning up the dust in the desert there was one reassuring sign ~ a golf green was being sprinkled. At the next station the subaltern switched compartments. Now for some sting in the tail: when last, after Billooo Sethi and Jiti Chaudhury, did the Army boast a national amateur golf champion?